How’s your smile looking these days? Is it bright, white, and beautiful? Or drab and dull? As we age, our smile is one of the first places to take a hit. The cumulative effects of staining foods and drinks and even our own genetics can conspire to darken our smile, leaving us unhappy when we look in the mirror. Teeth whitening is a simple procedure that can make a dramatic difference in your appearance. Whiter teeth make you look younger and will cause people to take notice. When your smile looks good, you feel good and you have more confidence to take on life’s challenges. At our Edmond, OK dental office, we offer both in-office and professional take-home whitening treatments, allowing us to customize your whitening and put the sparkle back into your smile. Do you have a special event coming up? Many people come to us looking for a solution to their yellowed teeth because they have a wedding, a reunion, or an important job interview and need to look their best right away. In-office teeth whitening is the perfect solution. You’d be amazed at how much better your teeth will look in just a single session. The treatment is safe and comfortable, and you’ll have the added benefit of having the entire process overseen by dental professionals. If you would prefer to whiten in the comfort of your own home and you have time on your side, take-home whitening might be the right choice for you. We create customized trays that fit your teeth perfectly, giving you flawless whitening. Unlike over-the-counter whitening kits, our customized whitening is designed just for you. The kits you find in the drugstore are designed for a mass audience, and that’s their biggest flaw. How can you have a one-size-fits-all product when nobody’s teeth are exactly the same? The result is trays that don’t fit well, which leads to uneven whitening and spilled product that can cause discomfort when it gets on your lips and gums. When you choose customized take-home whitening with us, we’ll discuss all the ways to make your whitening a success, from beginning with a cleaning (to make sure that there’s no plaque or tartar to affect your results) to answering your questions every step of the way. Once you are done, we’ll assess your results and discuss the best ways to maintain your new, sparkling smile. In fact, when you opt for an in-office treatment together with a take-home kit, we’ll give you a $95 discount on your customized trays. This is an awesome deal and will help you maintain your smile for a lifetime, so talk to us today to find out how to take advantage. 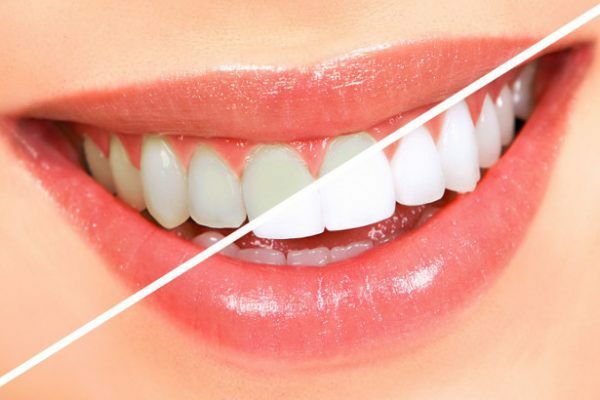 Can teeth whitening improve your smile? The best way to find out is to schedule a consultation with Dr. Gray. We’re looking forward to seeing your transformation!